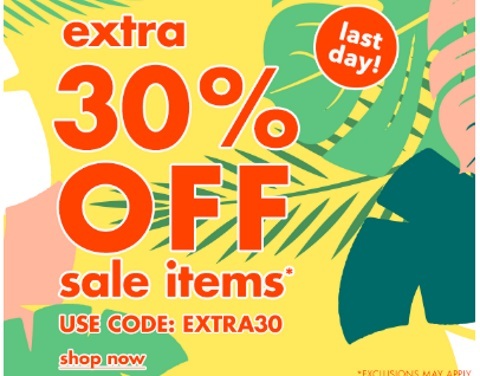 Forever 21 is offering an extra 30% off sale items today and get Free Shipping on any sized order! Enter the promo code EXTRA30 at checkout. Offer ends Sunday, April 16 2017.